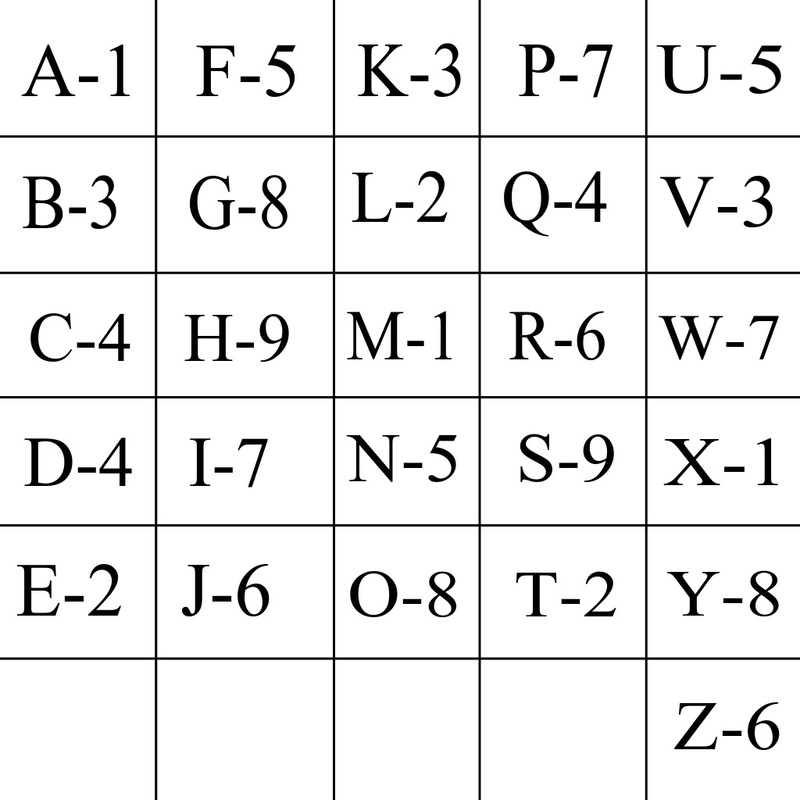 In the table posted below, there is a number written in front of each alphabet. If you want to know about yourself, then write your name in English. Now add up the numbers written in front of those alphabets. 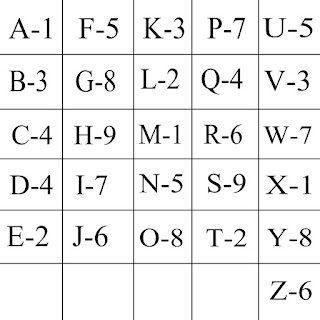 For example : Meera :- M-1 + E-2 + E-2 + R-6 + A-1 = 12 = 1 + 2 = 3 final number. The final number will show your personality. Now what will these numbers say, see for yourself. This number reflects enthusiasm and utmost good faith. Hesitation is not a part of the personality of those women that are of number one, they live their life with mirth. They believe in spending instead of saving. These women are usually owner of an attractive personality. Always eager to learn and are keen to do new and different things. And while they are quite emotional, they are also really sociable. Women of this number are shy, polite and somewhat an introvert. They lack self-respect and likes to stay in their hometown. Whichever subject she chooses to talk about, she knows all about it. Despite that they are hesitant and speaks gradually. They easily makes friends. They are always expecting new opportunities from life and they avails them too. This number reflects a passionate and frank personality. These women looks at their friendship and other relationships on the bases of permanence. Deliberation and a great foresight is their USP. They do not believe in taking risks on big shots. Are usually business-minded, and moves slowly towards their goal. But because of a purposeful mind they do not stop until they reach to the top. They are always wide awake when it comes to doing their work. They are not really interested in socialization, sports or entertainment. They believe in earning money and in the power of money. Their specialty is that instead of poking around in someone else's business, they keep themselves busy in their own work. They accept changes with an open heart and are always excited to learn new things. Despite their hard work they end up facing stress. Anger is on the tip of their nose. They have a talent to imagine a scenario and its result. Even though they are quite talkative, they never really get in any trouble by talking too much. Number five is a social-bird and knows how to make a sweet relation. The biggest quality of those women who belongs to this number is that they are trustworthy, polite and generous. They prefer staying in their house instead of the outer world. They cannot accept a change caused by someone else in their daily routine. While they are friendly and sociable, they never share what's in their heart. They are a really good listener and a great adviser, also proves to be a great parent. These women are usually calm, prefers to be alone and are hesitant, but are also a little pettish. Even the little things make them worry and so they are always worried about one thing or the other. They are pretty good annalist and shows a balanced behaviour. They are quite in social gatherings and when it comes to serious topics, they only take decision after giving it a lot of thoughts. Women of this number works really hard, but still they to struggle a lot. Despite this, they do not despair and are not easily discouraged. Having a focused mindset and being a great decision maker are their main qualities. Most of the times they are strong-headed, but sometimes have a militant attitude. They win people's heart with their loving nature. They are filled with excitement. Along with being emotional, they have the talent to make the strangers a friend. They have an air of a well brought up person. These calm women are often the center of attention. They are a little stuck up, but are friendly, of a giving nature and thoughtful. Usually they believe in making plans for the future.